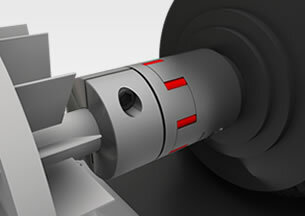 The PSL shaft lock bushing and SFC precision coupling are used to control large rollers within printing machines. Application benefits: The SFC shaft coupling provides torsional rigidity while dampening vibration. Products used: ALS coupling and 111 Model Brake. 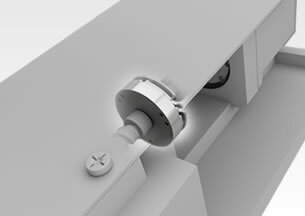 The ALS coupling is a cost-effective means of connecting two shafts, with moderate precision and ease of installation. 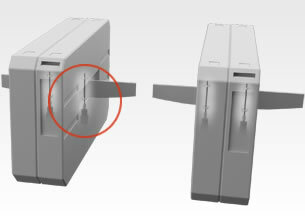 The 111 model Brake is used for holding the gateway in place when moved to the open or closed position. Application benefits: The ALS coupling offers easy installation and minimal backlash, while the 111 model brake has a long service life. This is important in this application, where frequency of operation is high. 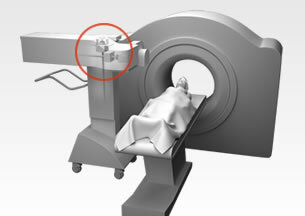 The SFC is a good choice for precision linear movement on demanding Medical applications. 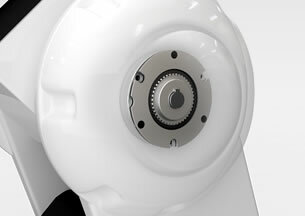 The BXW brake stops a linear actuator from back-driving when power unexpectedly fails. Its compact design also reduces the equipment footprint. Application benefits: The SFC coupling performs with zero-backlash, while the BXW model brake stops rotation when power is dis-engaged. 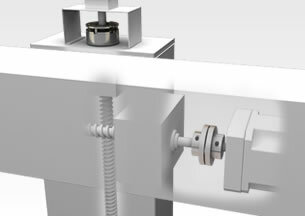 The PSL shaft lock bushing and SFC precision coupling can be used to precisely control head movement with zero-backlash. Using a BXW provides back-drive stoppage when power fails. 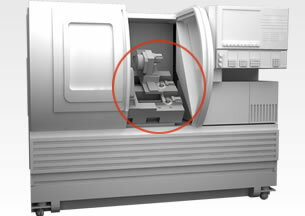 Its compact design also reduces the equipment footprint. 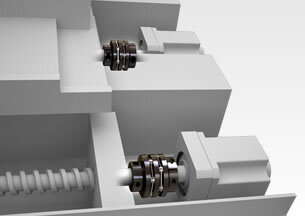 Application benefits: BXW model brake halts rotation, thereby stopping ball screw back-drive. AL couplings are designed with cost vs performance in mind. 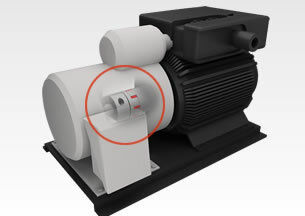 Pumps usually do not require high precision, but do require a high quality, reliable coupling. Application benefits: The ALS jaw & spider coupling has an elastomer element that mitigates vibration of the motor to the pump. SFF couplings are explicitly designed for high speed, Machine Tool applications. 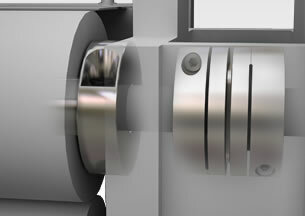 With high torque values, and speed ranges in excess of 20,000 RPM, the SFF coupling is well suited for machine spindles. Application benefits: The SFF shaft coupling is capable of operating at high RPM, while maintaining zero-backlash on starts and stops. 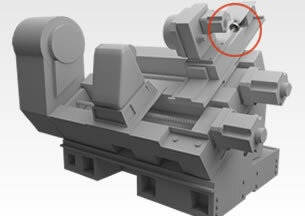 This is provides precision cutting head movement. 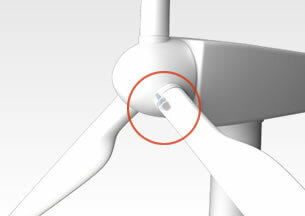 Large BXW brakes are ideal for holding blade pitch on wind turbines. Application benefits: The BXW brake is lightweight, and has a long lifetime with frequent operation. 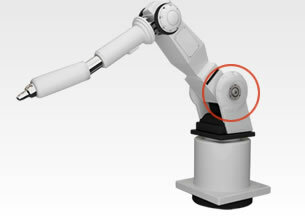 During a catastrophic power failure, it is important that robotic arm movement is captured and stopped to prevent mechanical collapse and equipment damage. 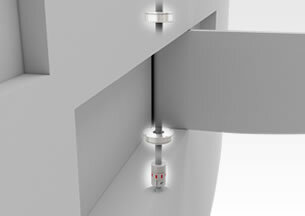 The BXR is designed with a thin profile, thus saving space on articulating joints. There is also a significant reduction in idling wear due to the lightweight construction. 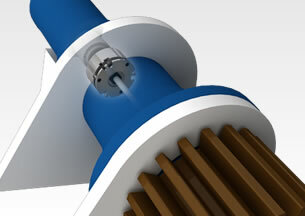 Application benefits: The BXR brake is designed with a very low profile, which reduces weight and heat. This is essential with cantilevered loads on robotic arms. 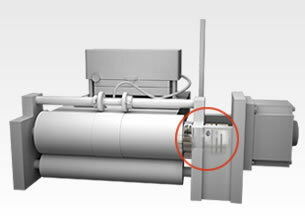 This BXR is used as a power-off safety brake which stops movement during a catastrophic power failure.